Leeds Rhinos agreed a three-year contract with Tongan superstar Konrad Hurrell, 27, from NRL side Gold Coast Titans ahead of the 2019 season. Hurrell was part of the Tonga side that reached the World Cup semi final last year and is in the Tonga squad preparing to take on Australia in Auckland on Saturday. He has played seven seasons in the NRL having made his debut with the New Zealand Warriors in 2012. He moved to Gold Coast Titans in 2016 and has made 116 appearances in the NRL scoring 55 tries in the process. Born in Tofoa in Tonga, he has represented his home country in the last two World Cups. He originally started playing the game at Mount Albert Lions having moved to New Zealand when he was 17 to complete his schooling at Auckland Grammar School on a rugby union scholarship. He had expected to begin a career in Rugby Union but turned to Rugby League in 2011 when he joined the Warriors’ under-20s team and proceeded to score 22 tries in 21 games. Less than a year later, he was making his NRL debut for the Warriors in round one of the 2012 season. 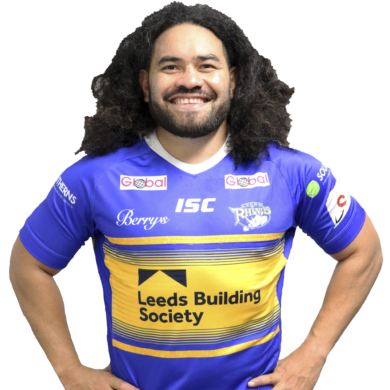 With his bullocking runs he became a crowd favourite almost instantly and he will team up with his Tongan team mate Tui Lolohea at the Rhinos and be coached by former Tongan Assistant Coach Dave Furner at Emerald Headingley.